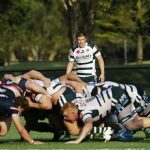 Randwick’s Will Munro will play his 50th First Grade game when Randwick face West Harbour on Saturday, but the 22-year old already has his sights set on higher honours. 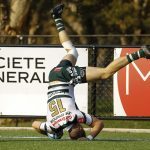 According to Galloping Greens coach Shannon Fraser, Munro is good enough to join his teammates Andrew Kellaway and David Horwitz on the Super Rugby stage. “Will’s got the capacity to play at the highest level. No doubt,” said Fraser. 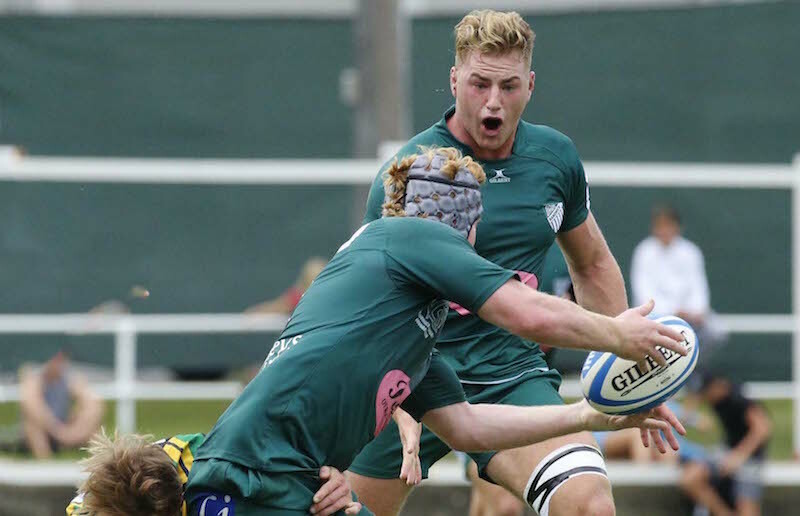 Munro played with the Greater Sydney Rams in last year’s National Rugby Championships and won a National Sevens Championship with NSW, but the lock believes that his best rugby is still ahead of him. 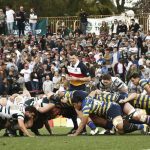 “I’ve played against a lot of Waratahs and I’ve played with a lot of Waratahs. I’ve played against and with a lot of Wallabies. I’d love to test myself at the higher level,” said Munro. Shannon Fraser set Munro some challenges earlier this season that appear to have had an immediate effect. “We challenged Will earlier in the year to work hard on some of the areas [where] he’s been a little inconsistent over the past season. He took to that challenge really well. We found his game has really [been] taken to a new level in 2016,” said Fraser. Fraser believes that the versatile forward’s strongest contribution to the Wicks is his go forward physicality. Munro said improving his body shape was his major focus over summer. “This year I took the prime focus of giving my body a rest after the NRC season and having a solid few months of weight training, really trying to build up my lower body strength… I think it’s made a lot of impact on my confidence and my performance,” said Munro. “Mario [Ledesma] has come down [to training] a couple of times. I’ve really bought into all the scrum sessions we’ve been doing with him and also the lineout sessions with Jason Brewer and Jock Giacheri. 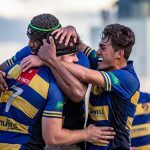 It was pretty evident with our seven man tighthead win against Sydney Uni. It was pretty special,” said Munro. Munro missed last weekend’s clash against Manly with concussion but will return to face West Harbour on Saturday.